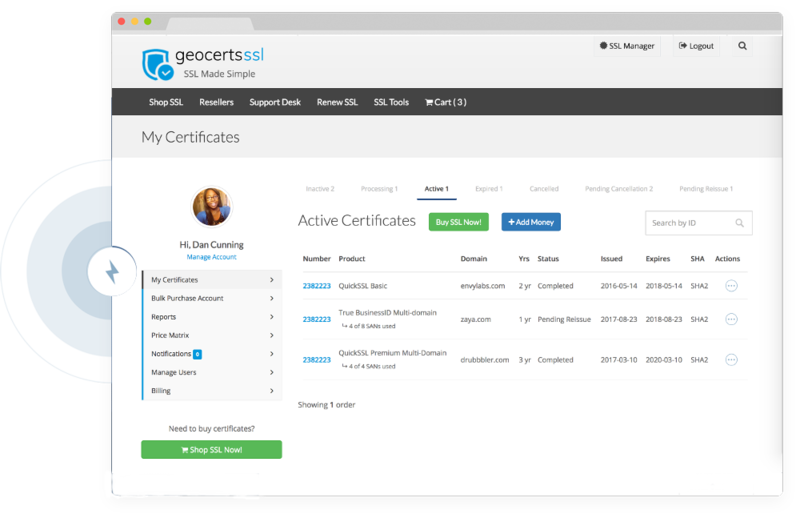 All SSL and Code Signing certificates sold through this site are covered by a thirty-day (30) cancellation policy. GeoCerts will cancel and refund fees following issuance of any new or renewal certificate upon request by the Subscriber within thirty (30) days of the original issue date provided that the issued certificate has been uninstalled from the Subscriber's equipment. Cancellation requests are initiated by logging in to your SSL Manager account and selecting the cancel utility. For security reasons cancellation requests cannot be accepted via live chat, email, or phone. Additionally, similar to purchasing a domain name, the fully-qualified-domain-name (FQDN) in your issued SSL certificate cannot be changed after the thirty-day cancellation period.